From the beginning of our nation’s story to the present day, Virginia’s contributions are portrayed in its museums. There’s no doubt Richmond has history. Henricus Historical Park, the second successful English settlement in the New World, as well as Revolutionary War and Civil War sites are a testament to the city’s past. Fast forward and today you will discover a community that appeals to foodies, craft beer enthusiasts and fashion shoppers. In addition to combining history and hip, Richmond’s art scene is incredible. It begins at the world-class Virginia Museum of Fine Arts. In addition to collections from around the world (African, American, European and Asian each have their own gallery), different time periods are presented. From ancient, pre-Columbian/Native American and even 21st century, Art Deco, Art Nouveau and photography each has its own space. The VMFA has the largest public collection of Faberge outside of Russia. 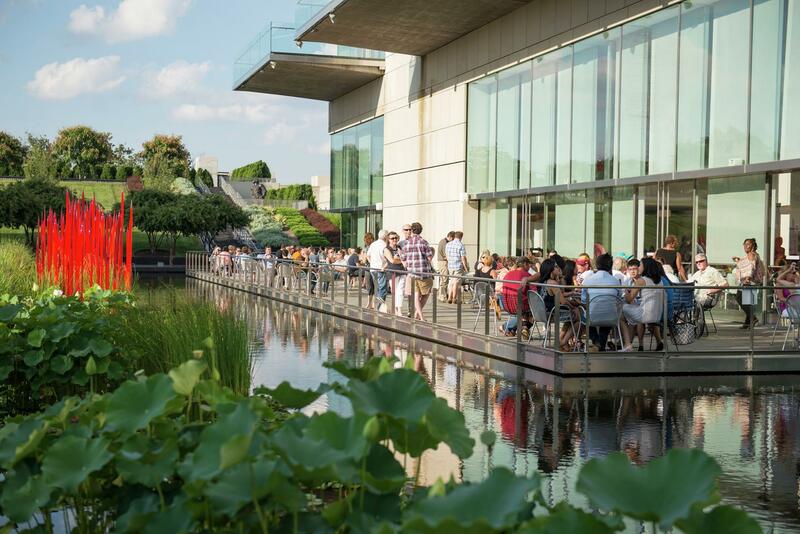 The VMFA is group-friendly and welcomes both student and adult groups. Adult group visits of 10-40 require a three-week notice and are based on docent availability. There are a half-dozen tour options with choices that are sure to pique any group’s interest. A fun adventure for any group is a scavenger hunt. Choose from six and get ready for a good time learning about art. There are plenty of opportunities for outdoor adventure in the Roanoke Valley, situated in the Blue Ridge Mountains. From America’s East Coast Mountain Biking Capital to windshield tours of the Blue Ridge Parkway to hiking and biking trails, there’s something for every activity level. Overlooking the entire city from a top Mill Mountain is the Roanoke Star. It’s a great photo-op for any group. When visitors need to come indoors, there is plenty of shopping, outstanding dining, museums and galleries. Much of Roanoke’s heritage is tied to the railroads. The Norfolk & Western shops located downtown were known for producing some of the best steam locomotives. 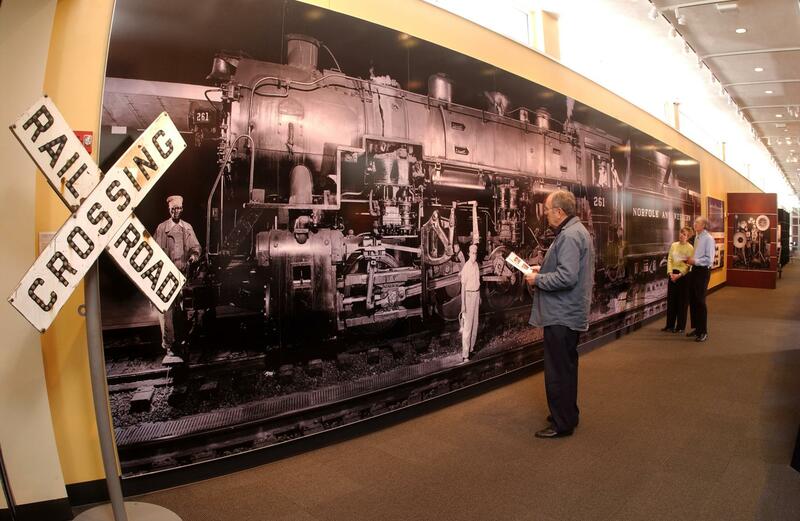 The O. Winston Link Museum showcases the impact of the steam locomotive during America’s industrial age. Link’s photography captures the nostalgia of steam rail through precise low light in moderate speed environments. More than 300 black-and-white and color images are on display along with Link’s audio and video works documenting the last days of steam rail. A 30-minute documentary film on Link is the perfect beginning to any visit. A successful New York commercial photographer, Link was prolific and constitutes an important photographic series of Western Virginia. Groups are welcome and reduced admission is available for seniors, military and students. The O. Winston Link Museum and History Museum of Western Virginia share space in the former passenger station of the N & W Railway. A single admission fee covers both museums. Virginia’s fourth-largest city has an interesting story to tell. “Newportes News” appeared in the Virginia Company records in 1619, making it one of America’s oldest place names. The city was central in the important Peninsula Campaign during the Civil War and the famous 1862 Battle of the Ironclads, which happened just off Newport News’ shore. In 1886, a Connecticut railroad tycoon established the Chesapeake & Ohio Railroad and the Newport News Shipbuilding and Dry Dock Company. The latter built many U.S. super aircraft carriers. Hilton Village was dedicated July 7, 1918 and was the first government-subsidized “planned community.” Along with extensive historical sites, there are a strong art and culture scene, unique shopping experiences, countless dining options and the Beer, Wine and Shine Trail. One of the largest maritime museums in the world, The Mariners’ Museum and Park has a simple mission, “connecting people to the world’s waters, because that is how we are connected to one another.” In addition to the United States, the museum’s collection has been drawn from Europe, the West Indies and beyond. The 32,000 objects in the collection are divided equally between three-dimensional pieces and works of art. The USS Monitor Center exhibition and conservation lab has 210 tons of artifacts from the Civil War ironclad warship. The museum’s object collection ranges from the size of a fingernail to more than 90 feet. Numerous exhibitions throughout the year complement the museum’s collection. 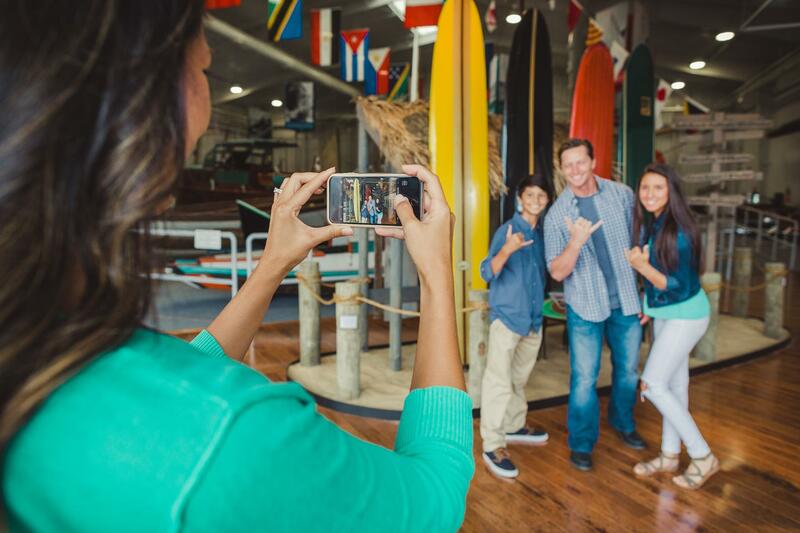 With 90,000 square feet, there’s plenty of space for telling maritime stories. The museum offers a wonderful menu of options for groups. The docent-guided tours are two to three hours in length and cover a choice of four themes. 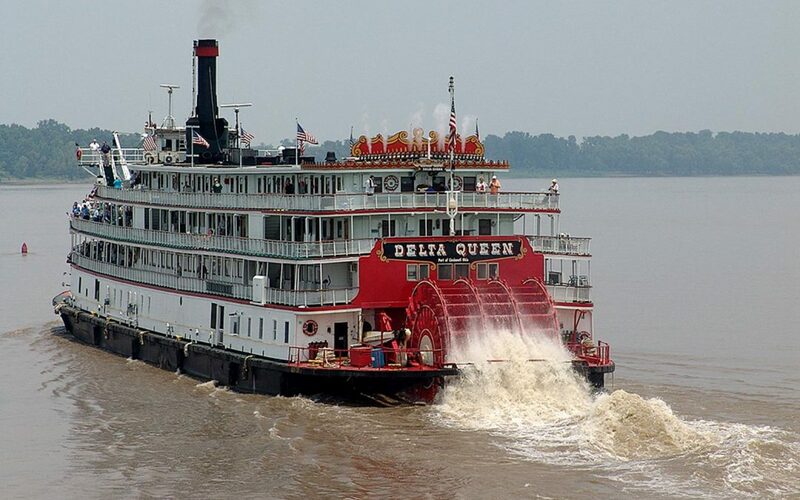 Museum highlights focus on must-see objects, the American Civil War, African-Americans’ Presence in the Maritime World and Women’s Roles in Maritime History. The museum has made it easy for group planners by packaging various options into themed offerings. 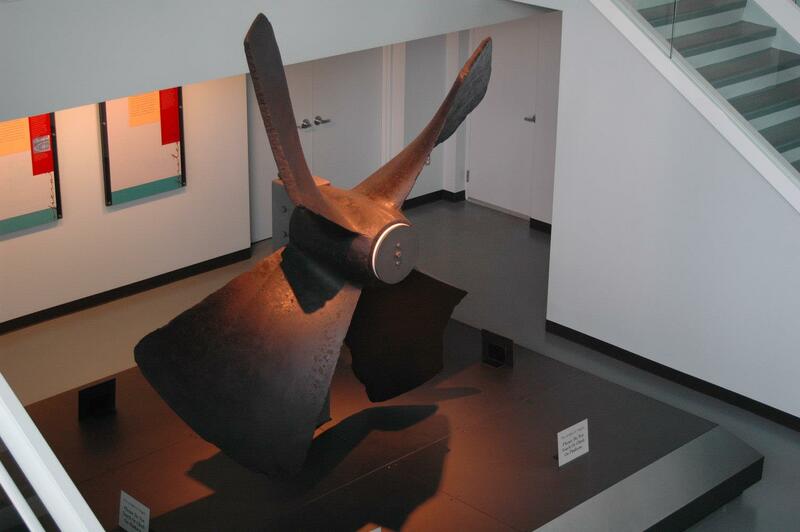 The Mariners’ Museum Highlights begin with a docent-led tour combined with lunch in a museum banquet space and a film. Shady Ladies of the Seven Seas begins with a guided tour focusing on women’s roles, an afternoon tea and a behind-the-scenes look at items of interest, but not presently on display. Battle of the Ironclads begins with the Civil War-themed tour and a choice of viewing conservation in action at the lab or a lecture from the conservation staff sharing stories from Monitor’s crew. An after-hours experience features a docent-led tour and dinner from a local restaurant with a menu inspired by your choice of themed options. Maybe it’s the eclectic feel of Virginia Beach that attracts groups. There’s the three-mile-oceanfront boardwalk with everything from live music and entertainment to outdoor cafes and the hypnotic sound of the ocean waves. The Chesapeake Bay presents outdoor experiences from oyster cultivation to kayaking. The vibrant Town Center is a shopping, dining and entertainment Mecca that welcomes groups. 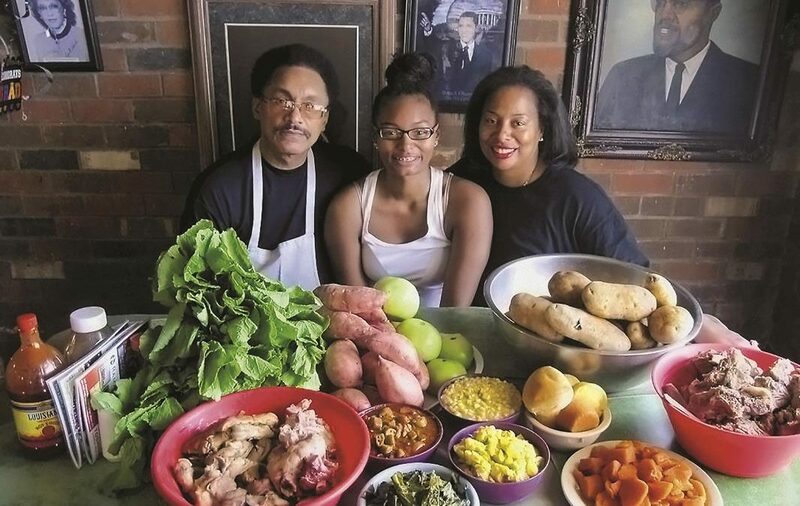 Pungo, a rural community in the southern part of Virginia Beach, exposes groups to everything from farmers markets to agritourism adventure. Wildlife preservation and quiet beaches await visitors in the secluded Sandbridge region. For the art lover, the Vibe Creative District is where you’ll find area artisans displaying their craft. 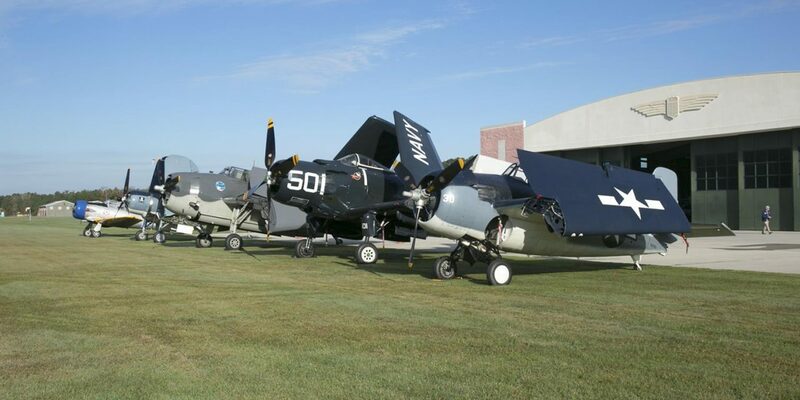 Although it will likely take more than one Virginia Beach trip to satisfy your group, the Military Aviation Museum is the place to begin. There’s a reason TripAdvisor gives the museum “Top Rated Things to Do in Virginia Beach” designation. 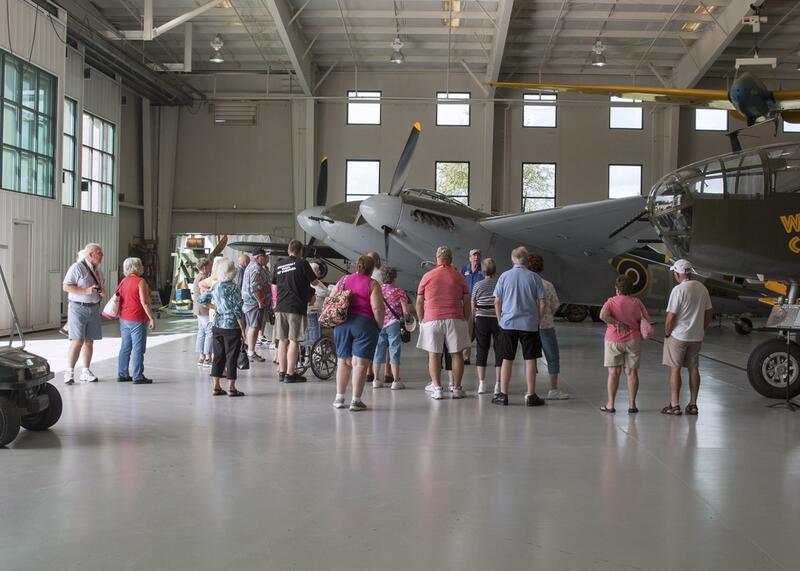 Here, you’ll discover the largest flying collection of WWI and WWII military aircraft in the U.S. in which 63 aircraft are on display. The newest addition is a hangar brought over from Cottbus, Germany that displays Luftwaffe aircraft. The original RAF Goxhill Operations Tower was recently reconstructed with the look it had in 1942 when the first U.S. Army Air Corps pilots arrived in England. There are great options for visiting groups. Learn about the women’s war effort and life during the 1940s when you Meet Rosie the Riveter. Hearing stories from the actual pilots of brave men and women are inspiring when you Meet a Museum Pilot. Have a photo taken in front of your favorite plan with the pilot. Basic tour group admission includes a guided tour of the museum’s collection. There’s a full range of lunch options when combining a catered lunch with a guided tour and speaker in the Swingtime in the Sky Tour. 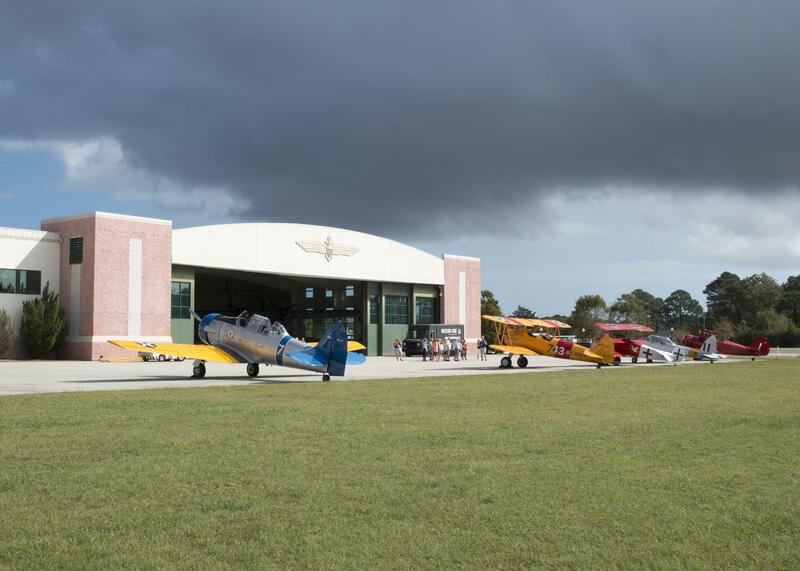 Flight demonstrations and plane rides can expand your visit, or mark your calendar for one of the museum’s annual air show events. The Historic Triangle—Williamsburg, Jamestown and Yorktown—offers an incredible number of historic sites and museums, theme parks and shopping and culinary experiences all just minutes apart. 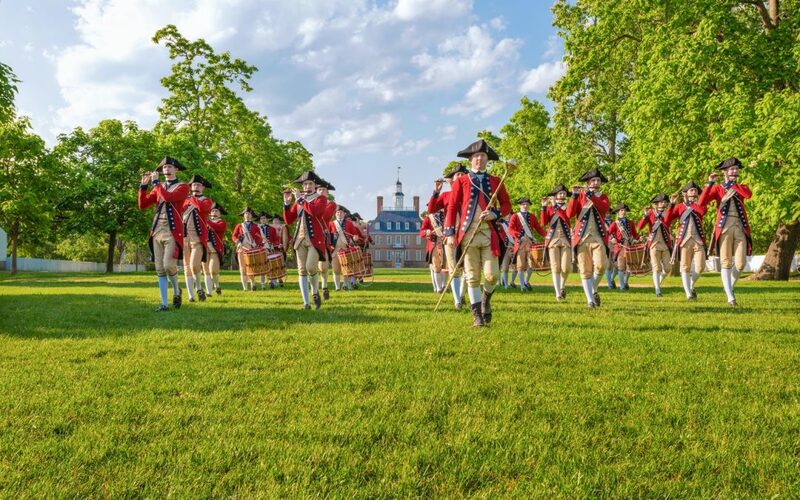 Step back in time to the founding of our nation at Jamestown Settlement and Historic Jamestowne, Colonial Williamsburg and the American Revolution Museum at Yorktown. 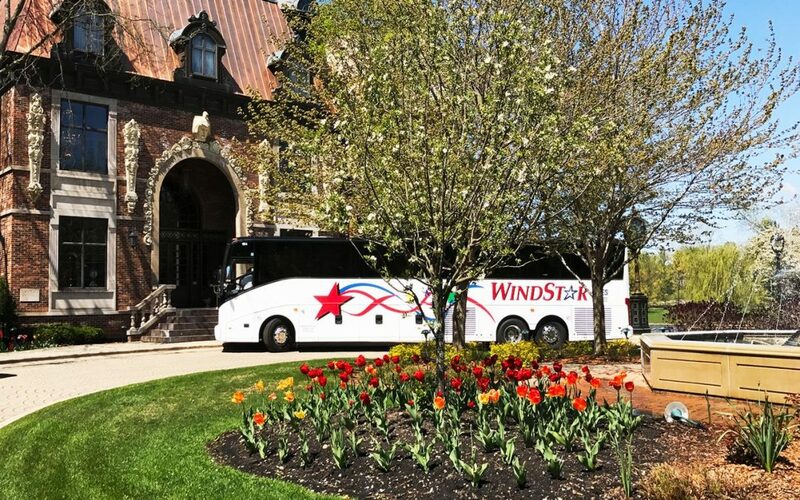 Nearby are wonderful plantations, the Colonial Wine Trail, craft beer delights and every age group’s favorite theme park, Busch Gardens Williamsburg, and Water Country USA. There’s so much to see and do from the historic to the contemporary. September 2017 construction began on the first large-scale expansion and upgrade of the buildings that houses the Colonial Williamsburg Foundation’s two museums, the Abby Aldrich Rockefeller Folk Art Museum and the DeWitt Wallace Decorative Arts Museum. The museums have remained open during the $47.1 million construction. The project was planned to take approximately 2½ years to complete. 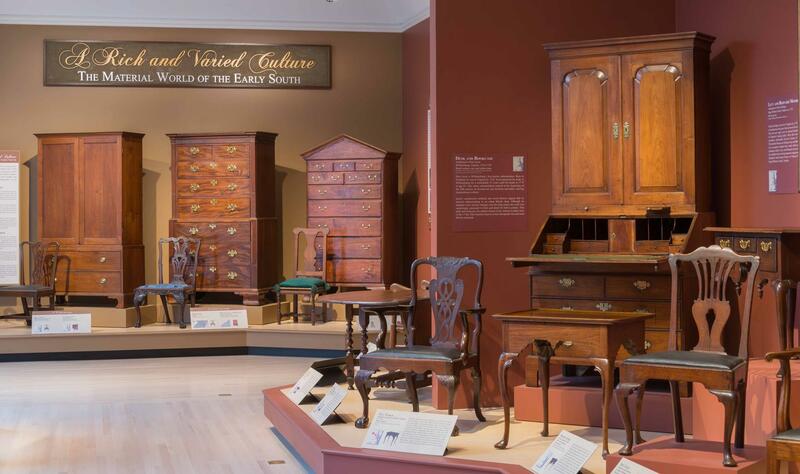 The diverse and extensive collections of the art museums of Colonial Williamsburg share the intriguing story of our country’s founding. When completed, the new 65,000-square-foot wing will provide a 22 percent increase in exhibition space. The art museums of Williamsburg are a must see. 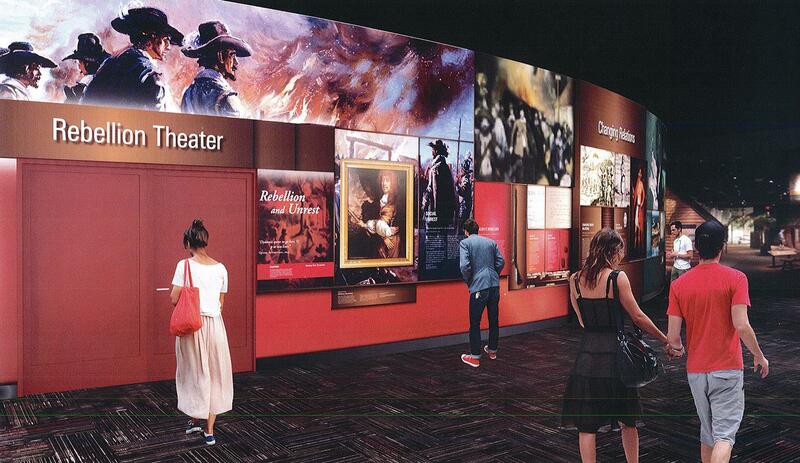 One-third of Jamestown Settlement galleries are being enhanced with a half-dozen immersive technologies, including interactive touch screens and a new experiential theater. New historical research is an important part of the $10.6 million refresh that is being completed in two phases. The first phase was completed in 2017 and added an interactive technology wall. The Powhatan Indian, English and Angola cultures converged in 17th century Virginia, and the new technology wall compares and shows contrasts of each culture’s language, religion, economy, government, family structure, recreation and art. Personal stories are projected on monitors and life-sized screens. The second phase of renovation will add the 124-seat Rebellion Theater presenting on multiple screens with state-of-the-art special effects. The film, Bacon’s Rebellion, tells the story of a 1676 armed rebellion of colonists led by Nathanial Bacon against the rule of Governor William Berkeley. New research will also play an important part of the gallery renovation. The story of the Virginia Indians is enhanced regarding the Powhatan capital at Werowocomoco and Pocahontas, and the arrival of the first recorded Africans in 1619 and the growth of slavery through 1699. The second phase will be completed in spring 2019. Jamestown Settlement is the stage for 2019 commemoration American Evolution. During the year, the new exhibit gallery will present events in 1619, including the arrival of English women to the Virginia settlement, the arrival of the first Africans and the first legislative assembly in the New World.